With so many financial products available, choosing which type of account to open can be just as stressful as deciding where to open one. For consumers looking for earnings on their savings, one of the options that credit unions offer is share certificates. Here's a brief overview of how they work and some of their advantages and disadvantages. Share certificates are a type of credit union savings vehicle similar to the certificates of deposit, or CDs, offered at banks. They usually offer higher yields than regular savings accounts; in exchange, you leave your money in the account for a specified amount of time, ranging typically from three months to five years. Longer lengths tend to have better rates than shorter ones. If you withdraw your money too early, you can be charged a penalty. In addition, money put into one of these accounts by members of federally insured credit unions is safe. Share certificates and other accounts are generally insured for up to $250,000 through the National Credit Union Administration, or NCUA. The dividends, or earnings, you can make on a share certificate are typically quoted in terms of the annual percentage yield, or APY. This rate takes into account the compounding period, which is the frequency with which returns are added to the account. Credit unions can choose to compound rates on a yearly, quarterly, monthly or even daily basis. If you withdraw money in a share certificate before the predetermined maturity date, you'll typically be charged a penalty. The amount can be a portion of the earnings, such as 90 days of dividends, depending on the account agreement. Adjustable-rate certificates. Also known as bump-rate certificates, these accounts let you upgrade to a higher yield than you started off with. If the credit union raises its certificate rates within the term of your account, you have the option of getting that boost. The exact percentage change and how often you can bump up the rate depends on the institution. Youth certificates. These accounts are designed for those who are under 18 years old. Often, credit unions offer youth certificates with low minimum balance requirements and different term lengths than regular certificates. Jumbo certificates. These accounts require a high minimum balance, typically in the tens of thousands of dollars, but usually come with better rates than other certificates. Invest $2,000 each in five different certificates ranging from one- to five-year terms. When the one-year certificate matures, roll that sum into a new five-year certificate. The following year, take the proceeds from the matured two-year certificate and roll that into another new five-year certificate. If you roll over each certificate as it matures at the end of each year, by the end of five years, you'll have a five-year certificate maturing each year. Every time one expires, you have the option to withdraw that money along with the earnings at the five-year rate. Of the many savings products credit unions provide, share certificates offer a higher-yielding but still safe way to invest money for a set period of time. Consider whether the increased earnings offset locking away the money for the required time, and decide which one is right for you. Earlier this week our Townsend branch drive up had an unfortunate encounter with a vehicle that caused damage to the roof and money tubes. The roof is not structurally stable so the drive-up lanes will be closed for approximately 5 weeks while we make the necessary fixes. We apologize for any inconvenience this may cause. The lobby is open. Come inside, we would love to see you! 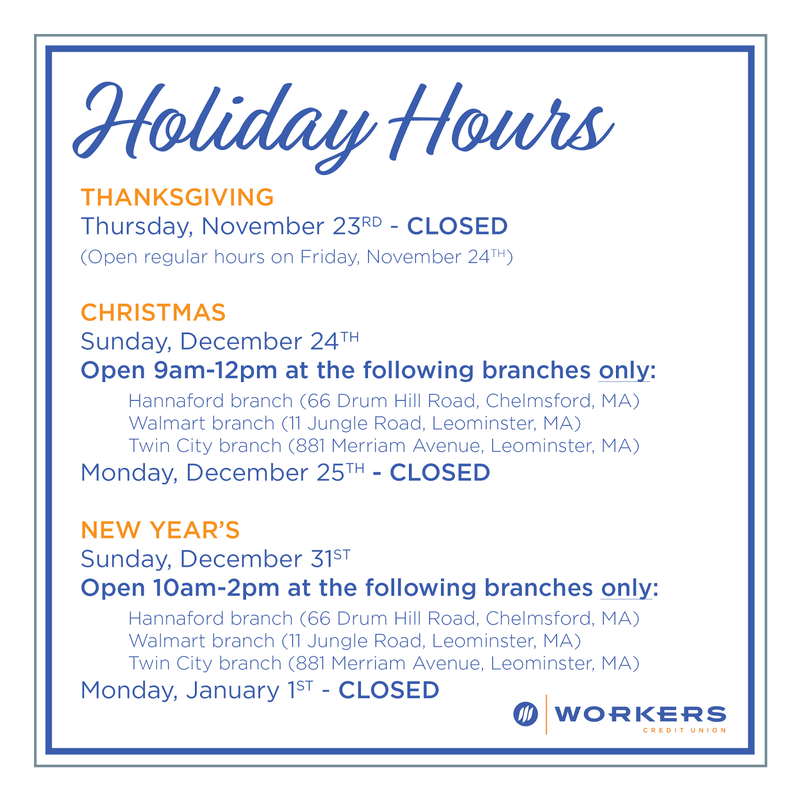 Find a Shared branch or Surcharge free ATM here. We will update you as soon as the drive-up, ATM, and night drop have re-opened. Privacy, lower living costs, graduation — there are myriad reasons you move from the dorms to an apartment. 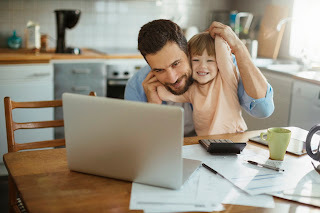 But with greater independence comes greater responsibility, and moving into your first place will certainly bring both, especially when it comes to your finances. Here are some things to start budgeting for when you make your move. 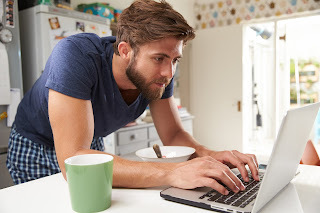 Rent should be a top priority when you set up a budget. Follow the rule of thumb and aim for a place that costs 30% or less of your monthly income. Can't find anything you like in your price range? Grab another roommate, or consider living farther away from campus or your job. Save enough money to cover your security deposit — money your landlord holds onto in case of damages or failure to pay rent — when you sign your lease. And your landlord might only take checks, so order a stack from your bank to have on hand. Unlike the dorms, where electricity, water, heating, garbage and internet costs are wrapped up neatly in one housing bill, living in an apartment means paying for utilities separately, usually at a monthly interval. Utility bills might cost around one-fifth of your rent. Keeping up with due dates can be a hassle, so set up automatic payments if you can — just make sure you always have enough in your account to cover the cost. If you don't use auto pay, make a habit of paying your bills as soon as you get them. Your apartment probably is bigger than your dorm, meaning more space to fill. Buying furniture can put a dent in your wallet the first time you move, and getting it to your new home may take some muscle. Keep yourself organized by making a list of what you need. Minimize costs by asking family and friends if they have spare items that you can take off their hands. Before you buy new, check Craigslist; if you're still around campus, there may be a Facebook or Reddit page dedicated to buying and selling furniture. If you're pooling resources with roommates, make sure everybody is on the same page about who owns what, or what happens if somebody moves out. When it's time to move in, recruit your friends or family to help with the heavy lifting, or hire some quick help through a service app like TaskRabbit. Protect your belongings from unexpected events like theft or fire by taking out renters insurance. It's relatively cheap, averaging $15 a month, and can save you thousands on replacing furniture, electronics or jewelry if calamity should strike. It's easy to forget that small items like dish towels, cleaning supplies, pots and pans are essential to happy apartment living. As with furniture, make a list of things you need. Look first for freebies, such as extras from family and friends, before heading to the store for new items. Add cooking to your arsenal of skills; eating out every day is not only impractical but expensive. It's great to have your own place, or just a new place, but don't go overboard. 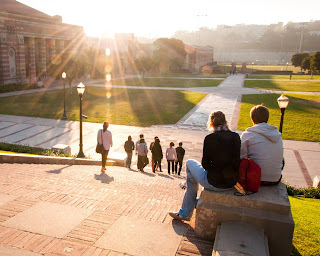 Remember some of the frugal habits you honed in the dorms, and you'll be more likely to enjoy independent living. Preschoolers can grasp that money is exchanged for stuff. Teach them the names of coins, and as their counting ability develops, explain their values. Playing “store” lets them gain skills as they “buy,” “sell” and even “price” household items. Begin giving your children a small allowance so they can experience money in the real world, and appoint them as valuable “assistants” on your shopping trips. They'll feel important while clipping coupons and helping you find items on the shelves. Early grade school kids can understand goals, saving and budgeting. Have them create and decorate wish lists and give them four containers for allowance labeled “spending,” “saving,” “investing” and “giving.” The spending jar is for inexpensive things kids want, such as candy or stickers. The savings jar provides a place to save for wish-list items, while the investing jar builds overall savings. The giving jar can encourage compassion as kids contribute to charities that are meaningful to them, or save to buy presents for family members. Bring kids along when you visit a branch of a financial institution, explaining that the institutions keep your money safe and even pay you for letting it rest there. Make sure they understand the automated teller machine doesn't spew free money and only releases cash you've already put in your account. By the later grade-school years, kids should graduate to their own savings accounts. Look for those with no fees and full parental access. Middle schoolers are ready to be included in appropriate family financial discussions about basic living expenses and savings goals. Wish lists can be swapped for goal charts, and you may want to offer to match your children's savings as an incentive to help them make a special purchase. Most kids this age enjoy the experience of running a garage sale where they can set prices, make change and bargain with customers. They'll have fun earning extra cash while you clear out space at home. In the teen years, introduce savings certificates, bonds and securities as investments. You may even want to give your teens a small amount of money and let them choose how to invest for a short-term or long-term goal. Encourage teens to work part-time and help them open a student checking account that has a debit card, mobile access and low or no minimum balance or maintenance fees. Consider downloading a mobile financial app to help them track spending and savings. When tax time comes, let them fill out their own return with your supervision and guidance. No matter what the age, odds are kids would still rather play computer games than listen to you discuss money. Rather than get discouraged, introduce some fun financial apps and games. The experience kids gain through your efforts and a little help from technology will pave the way for a lifetime of financial savvy and success. However, despite their gradual decline in use, checks haven’t become completely extinct. We still keep our money in checking accounts, we still balance our checkbooks, and new banking technologies (mobile check imaging is one example) are being introduced to improve the process of paying by check. Writing checks continues to walk the line between permanence and obsolescence. Whether or not checks are on their way out, there are still a couple of check-related best practices that you need to be aware of in order to stay on top of your finances. Checks often get a bad rap for the amount of time they take to clear. This is referred to as a holding period, and it can vary anywhere from a day to over a week, depending on your financial institution. The clearing process itself is made up of several steps. First, the financial institution that receives the check for deposit encodes its dollar amount into the machine-readable numbers along the bottom of the check. Then the physical check is fed through a machine that scans its data. That data is then sent to a clearinghouse, which forwards the information to the financial institution that issued the check. The financial institution makes sure the check-writer’s account has sufficient funds to make the payment—if it does, the transaction goes through, but if the account has insufficient funds to complete the transaction, the check bounces. Check clearing might sound like a long and overly complicated process, but it has come a long way. In 18th century England, the check clearing process was considerably less efficient. It involved clerks from each London bank meeting up at a tavern on Lombard Street to exchange checks and settle account differences—not the most scalable process! The introduction of mobile check imaging (also known as remote deposit capture) and other technologies is helping to shorten the holding period; however, to avoid fees, bad checks and other sticky situations, it’s still important for you to understand what the holding period is at your credit union or bank. If you’re the check writer: the holding period, combined with some absentmindedness, can create a situation where you’re spending money in your account that you don’t actually have. For this reason, when you write a check, it’s best to pretend that the related amount of money is already gone from your account. 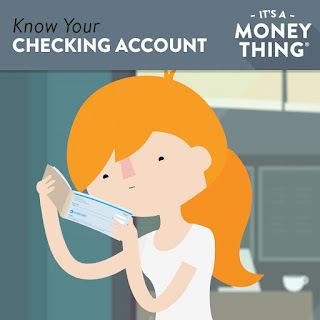 If you’re the check receiver: keep in mind that when you deposit a check and the money shows up in your account, the check may not have cleared yet. Your financial institution may allow you to spend a portion or all of that deposited check, but if it bounces, you would be the one responsible for repaying any funds you used before the check bounced. It’s a good practice to confirm that a check has cleared before spending it. When in doubt, you can always give your financial institution a call to verify the status of a check. The best way to avoid tricky scenarios created by holding periods is to keep track of your transactions with a checkbook register. Traditionally, checkbook registers are those lined notebooks that come with your checks, but you can use any system that works for you, whether that’s a printable form, a digital spreadsheet or even an app on your phone. Recording your transactions as you go will give you a more accurate idea of your account balance and help you avoid unnecessary fees or overdraft charges. It also takes the guesswork out of writing a check or making an ATM withdrawal—you will know whether or not you have the money in your account to cover it. Comparing your checkbook register to your monthly statements also makes it easier for you to spot any errors or fraudulent charges. Start by recording all your checking account transactions in your checkbook register—debit card payments, checks written and received, and ATM withdrawals. Include online bill payments and direct deposits too—since those are sometimes automated, it can be easy to forget them. When you get your monthly statement, compare each transaction to your checkbook register and put a checkmark next to each transaction that matches your statement. If items in your statement do not match your checkbook register, figure out what’s at cause. Sometimes it’s an entry error or a slip-up in your math, but it could be an error by your financial institution. Since we are not yet a totally digital society, understanding how to use paper checks as well as keeping track of all of your transactions will keep your checking account in the black and your financial matters running smoothly. Auto dealers are expected to sell cars that meet certain consumer protection criteria. This may include providing a warranty that will cover the buyer’s costs if a car turns out to be a lemon. Unfortunately, some unethical dealers may attempt to bypass these laws by curbstoning. Curbstoning is when a dealer poses as a private seller to sell a car. By curbstoning, an unethical dealer can avoid having to comply with the regulations that apply to dealers. To a buyer, this could mean buying a car that has a salvaged title (a car that’s been declared a total loss by an insurance company). It could also mean unknowingly buying a car that has been in a flood and suffered severe water damage. The term curbstoning comes from the way these transactions typically occur. When a dealer is trying to pose as a private seller, they will often sell cars from the curb or a parking lot, just as an individual would. A curbstoner often gets away with scamming buyers because he or she sells the vehicle and then disappears. With no office or contact information, a buyer can end up with a lot of headaches to deal with. If you find the listing on craigslist or in an Internet classified ad, do an online search for the phone number to see if it is linked to other car ads. If the seller is selling multiple cars, that’s a red flag. You will know that this is not the seller’s private car, which might indicate that they are an illegal curbstoner. Don’t say too much—be purposefully vague and just ask “about the car” without giving any details. If the seller responds with “Which car?”, you’ll know that he or she has multiple cars for sale. Have the car inspected by a mechanic before you buy it. If you don’t have a mechanic, Google and Yelp are good places to read reviews of local shops. It’s a smart investment—a pre-purchase inspection costs about $100 and can alert you to problems you may not find yourself. AutoCheck and CARFAX are the two best-known sources for vehicle history reports. These reports can reveal vital information about the car, including whether the odometer has been rolled back or if it has a salvage title. Use the car’s vehicle identification number (VIN) to get this information. See if any manufacturer’s warranty is left on the car that could be transferred to you. A used car that is only a couple of years old, or that has low mileage, may still be covered. You should always ask to see the seller’s driver’s license to see if it matches the name and address on the car’s title. If the person’s name on the title is different from the name of the person selling it to you, that’s another red flag. Unlicensed dealers often use family and friends as part of their sales pitch. 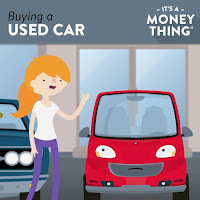 They may pretend that it’s their friend’s car, their mother’s car or “my Uncle Dave’s car.” If the seller tells you that he is selling it for his aunt, uncle or cousin, it’s likely not true. If something does go wrong, file a complaint with your local office of consumer affairs, the Motor Vehicle Administration or state department of motor vehicles, and the state Attorney General’s Office. 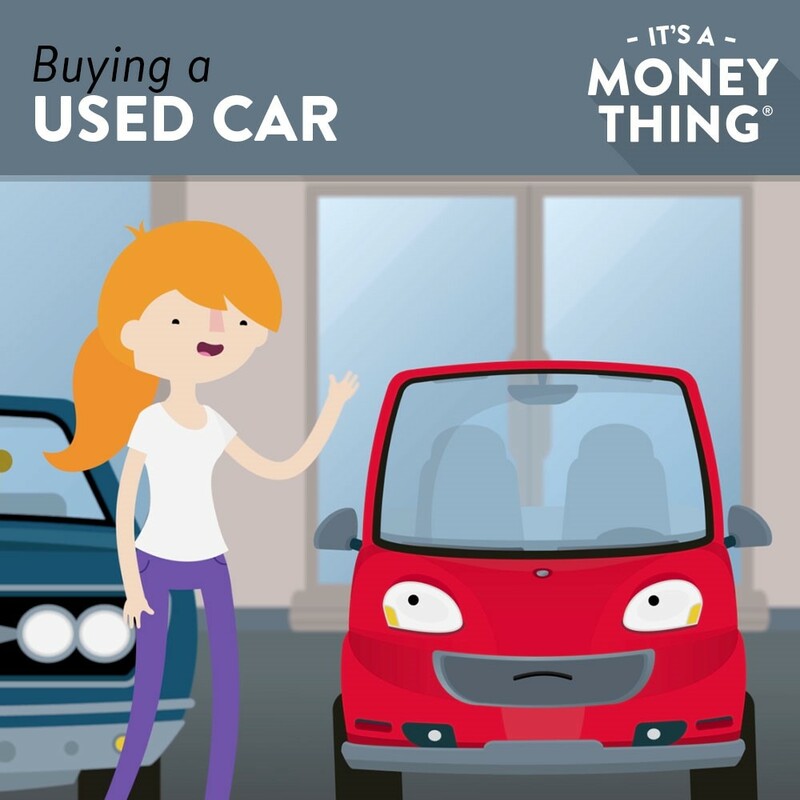 Buying a car privately can be a good way to find the car you are looking for and save money. By following these tips, you’ll avoid falling prey to curbstoning. Whether you are buying a car privately or from a dealer, credit unions are often an overlooked source of legitimate and affordable auto financing. Many people make a mistake in thinking that they can’t get a loan to buy a better car, so they end up settling for a junker.